Swift has published a standard for pay later APIs with the aim to help the adoption of this consumer payment model. Pay later is an instant online facility which offers customers the ability to use traditional bank loan financing to pay for goods purchased online, by selecting it at the point of purchase. By offering the option, Swift reckons merchants are in turn able to offer a wider variety of purchase options and to reach a wider consumer audience. 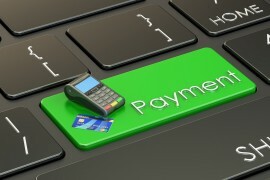 The API standard for pay later, formally called the “Transactional Finance Application Programming Interface”, makes the implementation of this feature worldwide easier. Swift aims to provide a neutral venue for collaboration, standards and payments business expertise, bringing together banks, merchants and technology providers to the working group on the API standard. This group will continue to work together to evolve the standard API specifications and rulebook. Swift explains that it re-uses business definitions from the established ISO 20022 to ensure that data specified in APIs is compatible with the messages used to clear and settle instant payments, simplifying data integration for both banks and merchants.